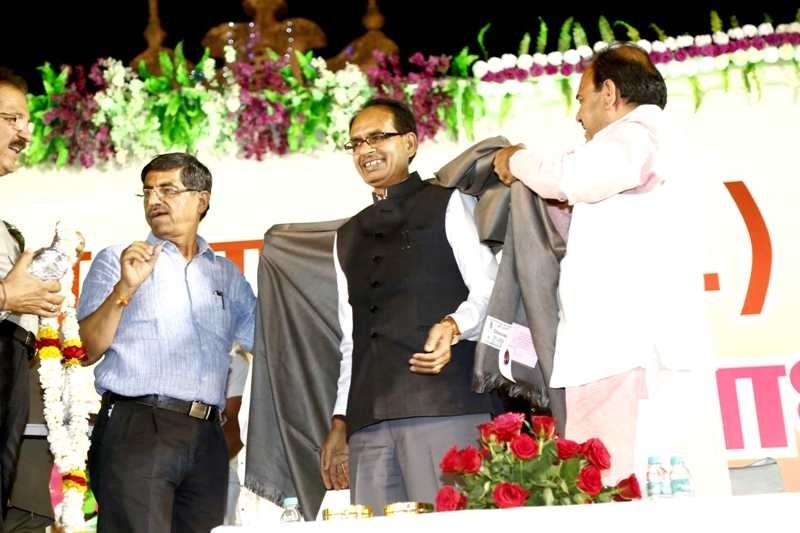 Bhopal: Chief Minister Shivraj Singh Chouhan was felicitated by the Sindhi Central Panchayat on the occasion of Chaiti Chand, the birthday of Bhagwan Jhulelal at Iqbal Maidan here today. Chouhan said that we cannot think about India without Sindhi community. The community has developed under the shelter of Sindhu valley civilization. He said that Chaiti Chand Mahotsav will be celebrated at CM House on April 1. CM Chouhan mentioned that Sindhu community has suffered due to the partition. He said that Sindhi community has important contribution in the development of the state. Several martyrs belong to this community. He said that there is no need for the community to bother. State is a island of peace and is moving ahead rapidly. While urging Sindhi community for its cooperation to make the state a leading state, he stated that all the problems of the community will be solved.